It is calculated that 150,000 people die each year when prompt first aid could have given them a chance to live. Think about that for a second-150,000, that’s the population of a medium town like Basingstoke. Also over 90% of people questioned would like to give first aid , but wouldn’t because they have never had the training. To make an enquiry, please email us at [email protected], fill in the form below or give us a call on 01623 510068. Having on site first aid training is not only a legal requirement but also a very good investment for your company, as we don’t just train your people to deal with an accident, we also train people on how to help prevent an accident occurring. In 2014/15 there were over 146 people killed in the workplace and 611,000 people injured. Also over 9734 enforcement notices issued by the HSE with a total of £16.5 million pounds in fines! We can help your staff in knowing how to prevent an accident and what to do if one occurs at your premises. We are fully qualified and insured and also members of FOFATO , the industry’s First Aid Quality training organisation. Our service is first class and our pricing is very competitive. And because we genuinely want to help, whilst we are at your premises , we will look around and offer any free advice, which we believe will make your life a little easier and help prevent any serious incidents. Having fun on our courses whilst learning about important first aid safety information makes for a great course at your premises that your staff will enjoy and remember. Because we conduct all of our training at your site, we can give you tailored advice specific to your premises/ business – you can’t get this level of service and tailoring if you send your colleges to a venue. Training at your premises will also reduce time away from the job for your people and makes for a relaxed training environment . We also have a full back up service with any changes to legislation or any advice you may require. 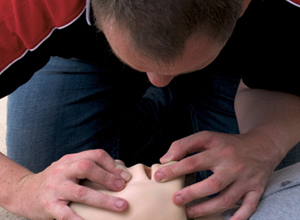 We offer a national Uk wide first aid training service. Contact us today for a quote- it could save a serious incident from occurring or even prevent a fatality. Please contact us for a free quote. Learning about first aid, particularly at work, can help people to feel more prepared and able to cope in an emergency situation should one arise at work or even at home. As we help you to reduce risks and incidents, it can also help manage any risks and reduce time lost due to illness or injury.